Good news to Westie! 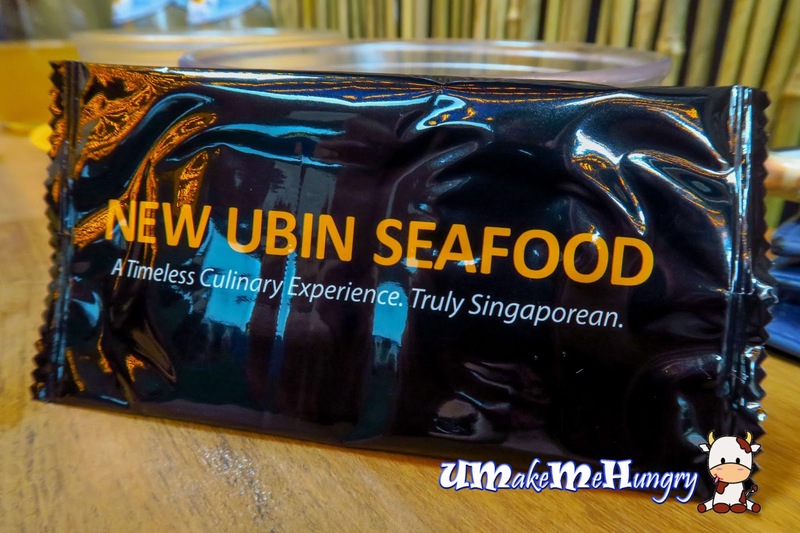 For those who have not heard of the relocation of New Ubin Seafood, I'm please to tell you that they are now located in Hillview, Lam Soon Building. The reason of their move from Sin Ming Industrial to Hill View is that the original area will be redeveloping in Dec 2016. 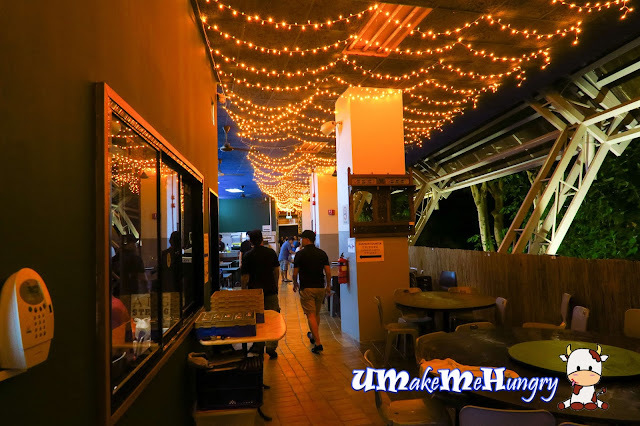 Though it is still located in Industrial Property, I already feel the great difference as soon as I stepped into the canteen of the "ulu ulu" Lam Soon Building. It was horribly packed with people, be it expats or local. Not to mentioned that the private rooms were also packed with people. I was kind of amazed that the roads outside the building was quite calm and quiet while the entire canteen was bustling. Lightings were well hanged on the ceiling, creating a different kind of atmosphere apart from the old facade. Having visited on their 2nd Day of opening, I can see that staff were still not very familiar with location of table numbers and hiccups were visible. Nevertheless, staff are friendly and trying their best to serve. 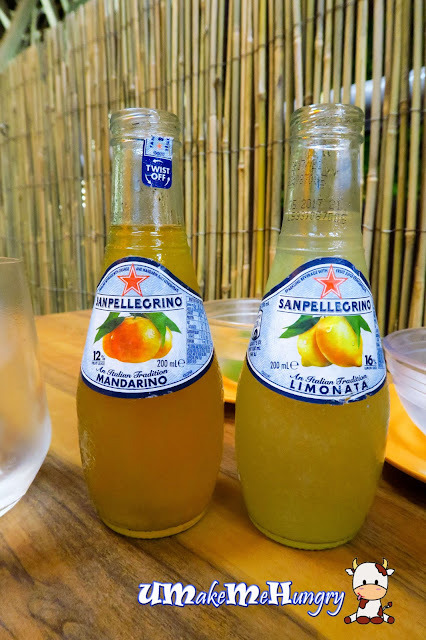 Since the set comes with two bottles of Pellagrino Sparking Beverage, we decided on Mandarin Orage and Limon Drink. Drinks were served in its original glass bottle and comes together with a chilled glass. 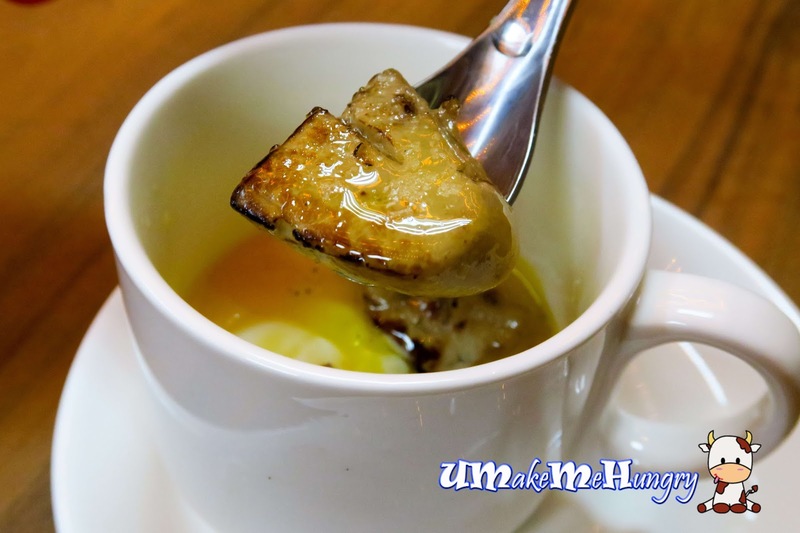 Sous Vide Egg and Char Grilled Foie Gras served. It was indeed a very special and total new experience to me to have such dish from a Cze Char place. Moreover this dish was scented with truffle Salt making it out of the ordinary. 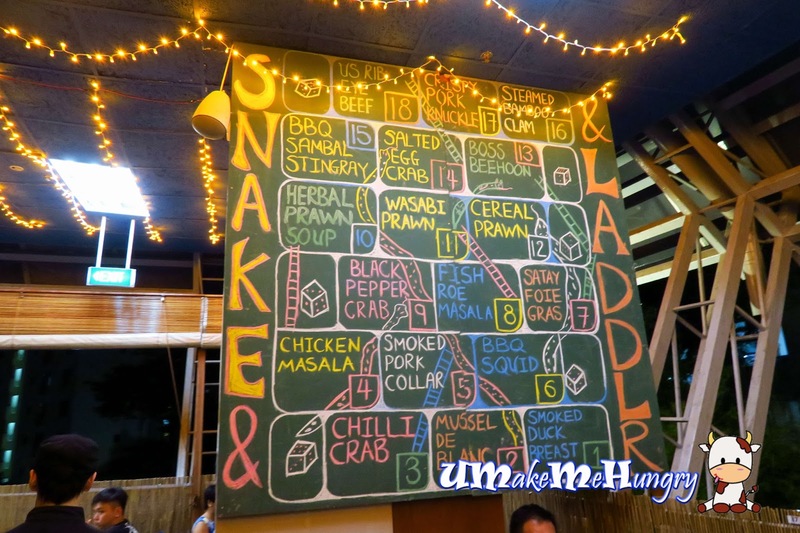 We were more than amazed to be served with another special dish before our eyes. 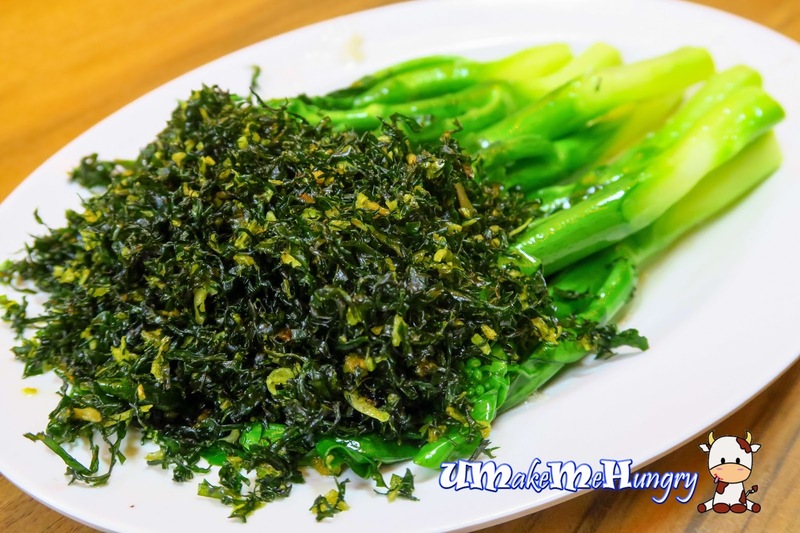 Hong Kong Kai Lan was specially prepared with its leaves fried to achieve a crispy texture while the stalks still remain in its crunchy "green suit". Though special, a little down side about the dish is perhaps its oiliness. You can choose fresh Carabinero Prawns or freshly chucked oysters Sashimi as your starting appetizers. However if you are a non Sashimi diner or do not feel like having raw food, don't worry, there is still alternative for your appetizers. 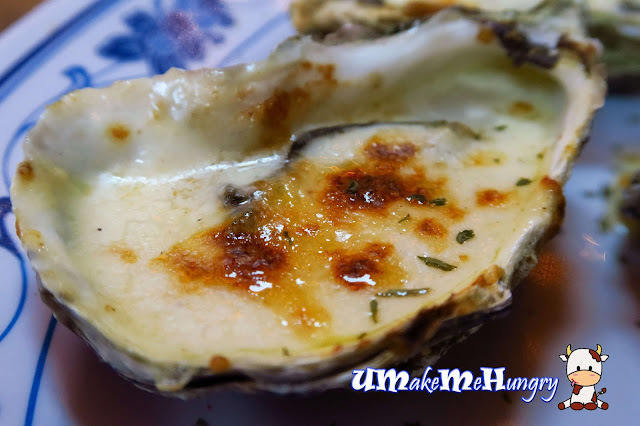 The Chefs are flexible and can change the style in cooking the Oysters for you. 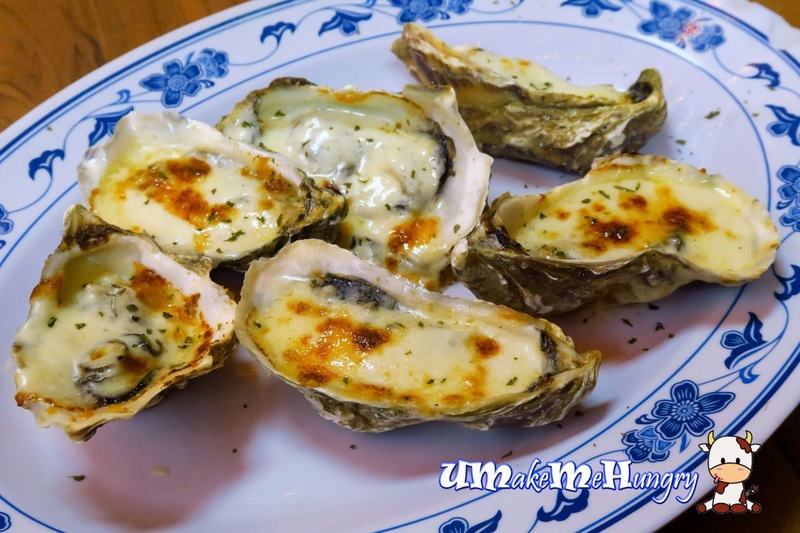 They suggested that we go for Oysters Mornay with no additional cost incurred for the similar menu. 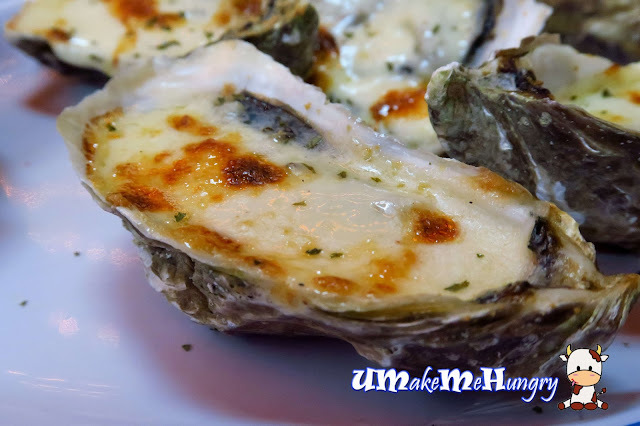 Though it may takes a little while for these Fresh Pacific Oysters to be served, its totally worth the wait. 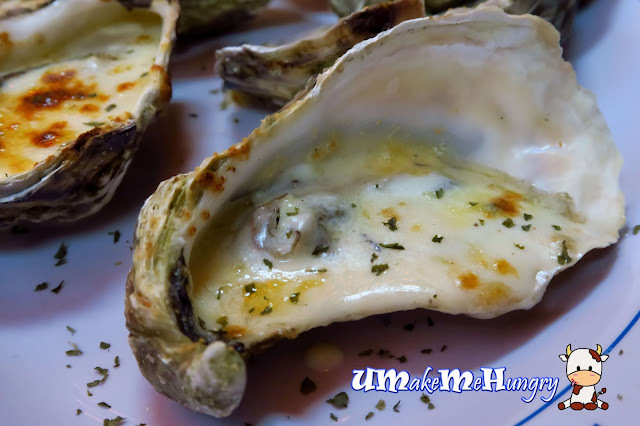 The Oysters were well cover by the creamy cheese sprinkled with chopped parsley. 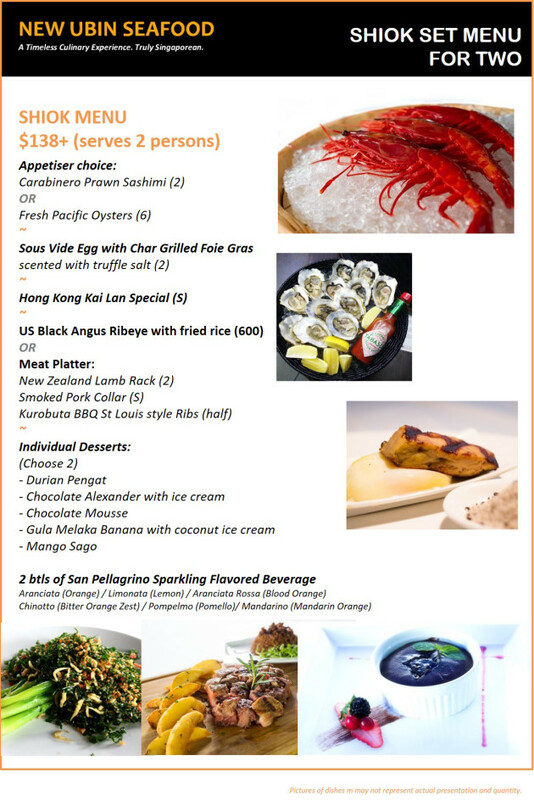 We choose the US Black Angus with fried rice to the meat platter. 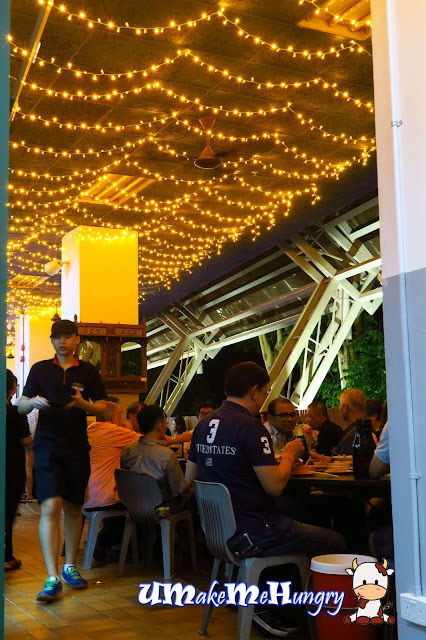 If you choose the meat platter, you have 3 choices to choose from, New Zealand Lamb Rack for 2, Small Size Smoke Pork Collar or Kurobuta BBQ St Louis Style Ribs (Half Rack). Interesting enough, US Black Angus deserved some praises even though it may not be the prime type. The steak cubes were well executed and definitely worth every cent that I had paid for. 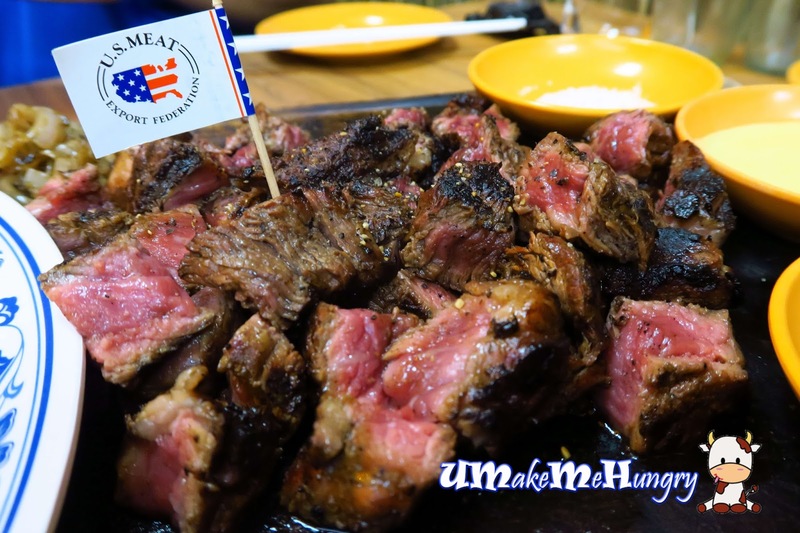 The total sums up to about 600g, perfectly prepared in medium rare doneness with distinctive char flavours sprinkled with grinded blackpepper corns. 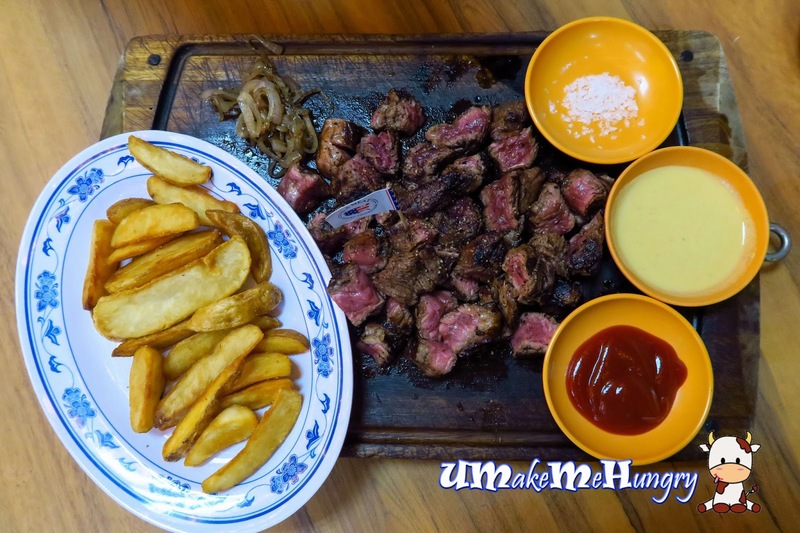 They were served on a heavy wooden chopping board with potato wedges as well as caramelized onions by the side. Condiments like sea Salt, Ketchup and mustard were readily placed by the side. You won't regret ordering this! I guessed I will regret if I'm skipping this. The fried rice was definitely awesome. 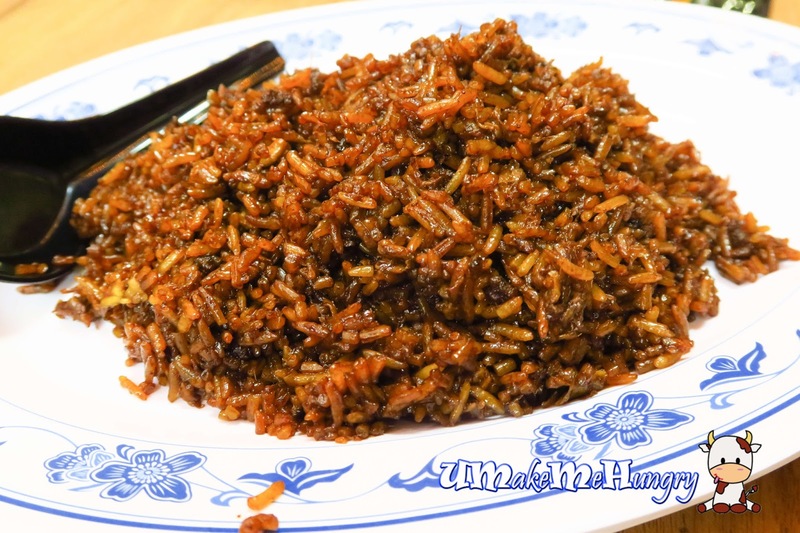 It had the style of Claypot Rice coated, best still with every grains coated in the sweet black sauce. It was savoury by itself even if did not paired with those Ribeye steaks above. Balancing out the Fusion, we had something local from the Dessert menu. 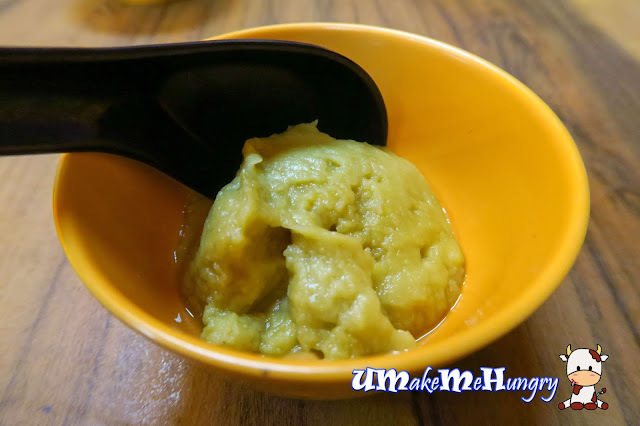 Durian Pengat was served in small bowls warm and if you like it, you can add some coconut milk to enhance its taste. I'm not too much of a coconut milk fan and thus I added quite little to my dessert. Banana dessert was served in a hot plate. 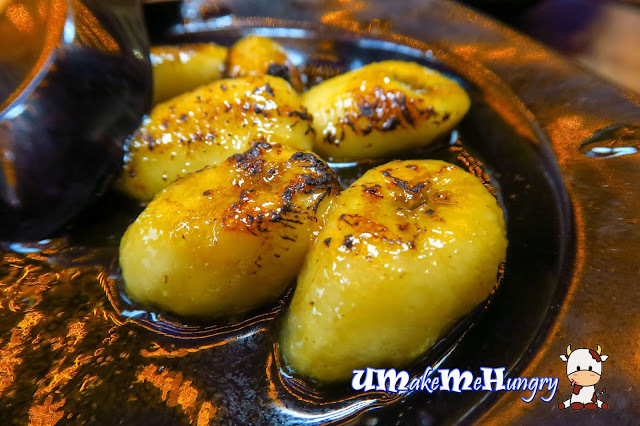 With Gula Melaka coating all over the banana, the fruit can never be sweeter! The texture was soft and together with the sugar, it was totally not my kind of dessert. 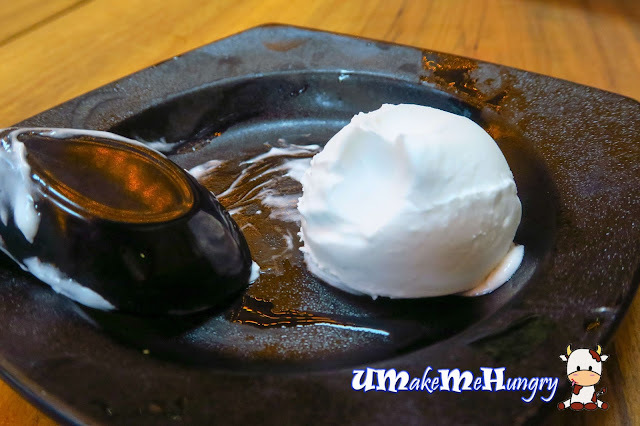 The plain and not so sweet coconut ice cream served had actually complemented the sweet dessert well. Cooling and refreshing ending we had here! Being one of the happier folks in the West to welcome New Ubin Seafood, I will not deny that Cze Char Places like this has come to a whole new level with creative dishes. It is no longer the traditional kind of Cze Char that we are looking forward to nowadays.